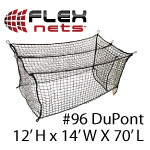 FlexNets #42 Deluxe Nylon Batting Cage Net: 12'H x 14'W x 70'L at Practice Sports, Inc. The FlexNetsTM #42 Nylon 12' H x 14' W x 70 L is a Standard Size Batting Cage Net and is recommended for High School/Collegiate use. 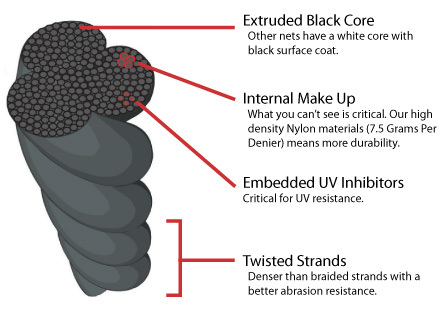 Read more about the differences between Nylon and Poly at our Getting Started Guide. 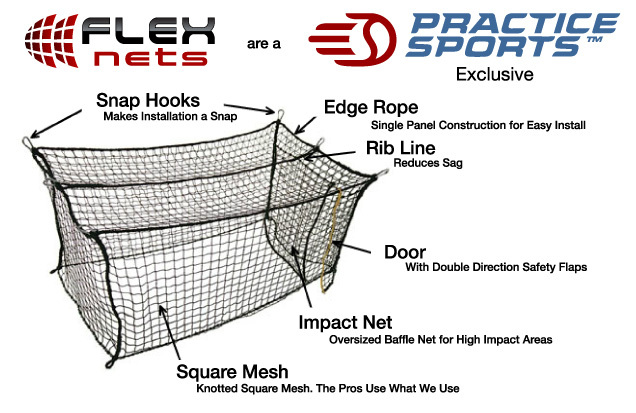 Not the Net You're Looking For? When standard sizes won't work, enter your dimensions for an instant quote. 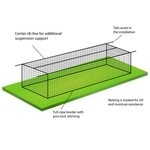 We have complete kits for all of our Standard Size Nets. 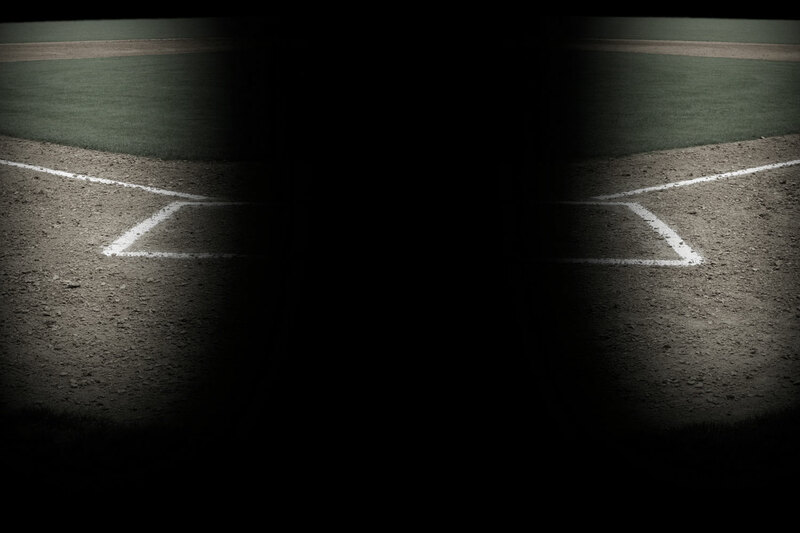 Safety screens help protect your players. I find the website easy to browse and to place an order. The products offered are of the highest quality. Their service has been top notch as well.